Same format as last year Catch & Release Competition which is only for fun – the best photo of a fish caught & released on the day wins the mystery prize. This competition is free for fully paid up 2014 members of the Reservoir. This is also an opportunity to purchase your membership for the coming year – Roddy will have Permits available on the day. Check in is at 8.30 to 9.00 with first cast at 9.00 – presentation at 15.00. Hopefully the weather will be kinder this year & we won’t be faced by snow – however despite the conditions the Trout were rising & on the take which is bizarre. We are also trying to raise money to purchase more boats for our members and are planning to start a fund. On the day there will be a box for anybody who wished to make a donation. We are also looking for any ideas for fundraising to help us put more boats on the water – if you have any brainwaves please let us know. Tight Lines for the coming Trout Season. 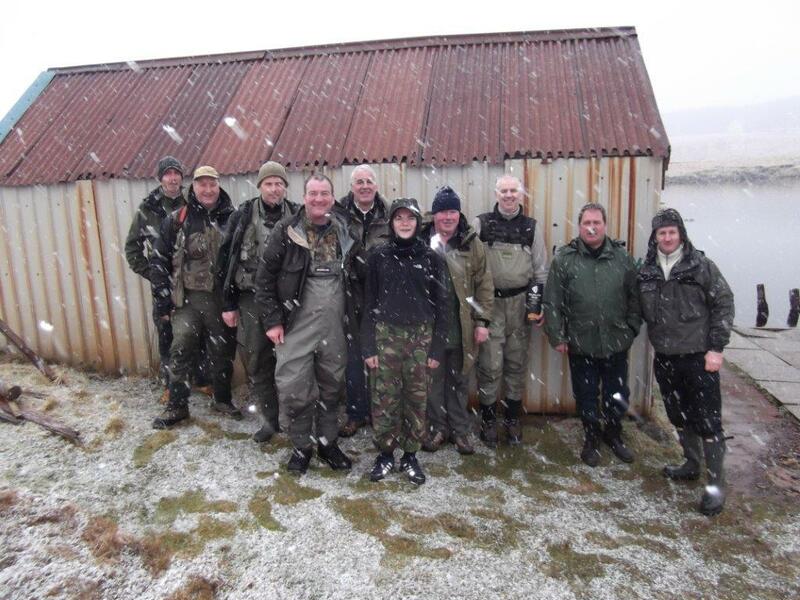 Below is a photo of some of last years crazy anglers who stayed to the end on the opening day.